Have you ever wondered about the lifestyle of people living during the Spartacus era? Well, there is an online slot game named Fortunes of Sparta which will take you back to the times of Spartacus. Become an apprentice gladiator of Spartacus after learning the fighting and combating skills in the quest to secure your dream girl and earn the wealth to provide her with a lavish life which she is accustomed to. 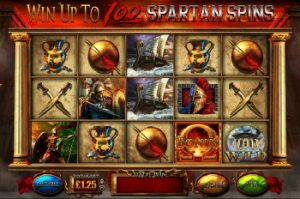 It is a slot game in which you have to search for weapons and armour, combat against other fortune greedy gladiators and sail seas – but you can definitely succeed under the observant eyes of Spartacus. Fortunes of Sparta is powered and designed by the Blueprint gaming. 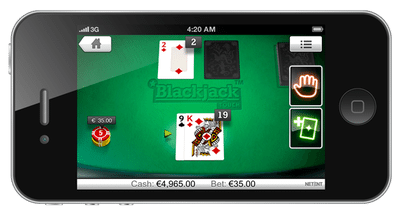 Blueprint has been famous for several years for producing both online and land-based slots. Blueprint Gaming is a chief UK based game developer and a part of the German Gauselmann group. The theme of Fortunes of Sparta is the legendary army of Sparta; the Spartans were brave warriors and conquered parts of today’s Greece some 2000 years ago. The slot game features high-end quality of graphics and the opportunity of winning big payouts. 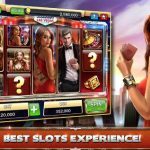 It is a 5-reel slot with 20 fixed paylines in 3 rows; there is a blood-red feature in the design of the slot game which is improved by the spectacular background music featuring a haunting feminine voice. The reels are displayed on the two columns which prop up the background. 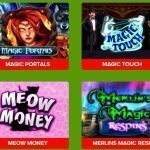 This slot game ranges from medium to high variance and can be played with a minimum of 25p per spin. High-valued symbols are nine in number and are really military which include a female, two different warriors of Sparta, a ship, a breastplate, a helmet, an urn, a shield and crossed swords. The large temple is the wild symbol and the fiery sign of ‘Omega’ is the bonus symbol and on the middle reel is the Spartan Streak icon – the last two trigger additional features. The bonus features are Spartan Streak, Coliseum Cash and Spartan spins. 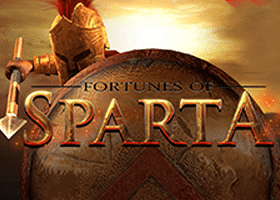 Fortunes of Sparta is an action-packed slot game which sounds and looks amazing. Possibly it’s fair enough to say that the big wins coming from the bonus features are a little difficult to activate but surely not impossible. You can actually check out this slot game.